This website is called "The Science of Light" because, two hundred years ago, Swedenborg discovered that natural Light corresponds to spiritual Light or Truth. Thus, we may uncover many things about Truth by studying its natural correspondences. 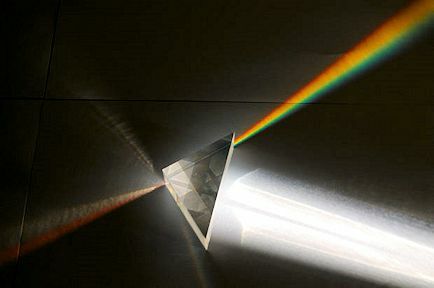 For example, we now know that white light is composed of a spectrum of colors or frequencies. And sound is composed of a spectrum of musical notes. Although both light and sound are omnipresent waves, they are made up of discrete colors or musical notes. And these waves can embed various harmonics or higher frequencies. Hence, the light of the sun must contain various harmonics like the sound of a musical symphony must contain a harmonious diversity of harmonic notes from various instruments. When we contemplate the beauty of certain objects or beings in the universe, we should remember that this harmonious beauty is already present within natural Light and spiritual Light (Truth). Now, we know the musical octave consists of seven notes and the eighth note is a recurrence of the first note but on another scale or frequency. Thus, we discover that the universe is self-similar. It is arranged or organized like a fractal. Hence, there must be something special or sacred about the number 7. Any process in the universe must consist of seven steps. After seven steps, the process is realized and a new process begins. For example, the process from a seed to a fruit unfolds in seven steps: seed, root, stem, branch, leaf, flower, fruit. But we must also notice that a fruit contains the seed of a new process. So the process continues eternally because Love never ends. It can continue to grow forever. 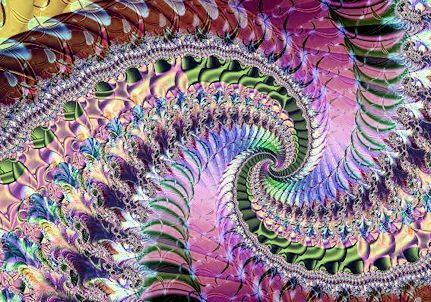 Therefore, the process of seven steps is not really a circle; it is a spiral that can continue to involve and evolve eternally. There is something miraculous about the natural logarithmic spiral (Spira mirabilis) because Love also involves and evolves eternally. 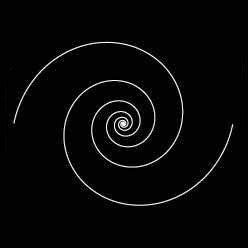 This spiral is also a self-similar organization or fractal just as every being in the universe is an image of God [Love]. And the function et is the only function in mathematics that is equal to its own derivative because Love transcends time. What is meant by disposing into series shall also be briefly told. Truths are said to be disposed into series when they have been disposed according to the form of heaven, in which form are the angelic societies. What this form is may be seen from the correspondence of all the members, viscera, and organs of man with the Grand Man, which is heaven. In these members, viscera, and organs, each and all things have been disposed into series and series of series. These are formed by the fibers and vessels, as is known to those who from anatomy are acquainted with the textures and contextures of the interiors of the body. Into like series have been disposed the truths from good with man. When we attempt to do anything useful in the universe, we are also realizing Love. Hence, we must also travel through this seven-step process. And there are places in this octave where we will encounter obstacles and uncertainty and be tempted to give up. But if we resist temptation and succeed in completing the process we will be transformed in some hidden way. In addition, the fruit of our work will also contain the seed of some new project that we will desire to undertake. This is how Love grows eternally. 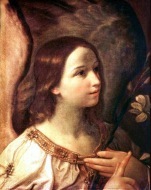 The Love of Heaven continues to grow forever as more angels enter Heaven from the human race as well as from the useful and loving works that angels and human beings do. This is how the spiritual field of Love/Wisdom is eternally realized and becomes embedded with more harmonics or Heavenly qualities. The truths of faith are arranged in series, and thus, as it were, into groups. This has hitherto been unknown, because spiritual truths, of which the whole Word is composed, could not be seen, on account of the mystical and enigmatical faith in which is summarized the whole of present-day theology; and they have, therefore, remained stored away like grain in underground cellars. The following will explain what is meant by series and groups. The first chapter of this book, treating of God the Creator, is divided into series: the first of these treats of the Unity of God; the second, of the Being of God or Jehovah; the third, of the Infinity of God; the fourth, of the Essence of God, which is Divine Love and Divine Wisdom; the fifth, of the Omnipotence of God; and the sixth, of Creation. The subdivisions of each subject form the series, and bind together the contents into groups. These series, in general and in particular, thus conjointly and separately, contain truths which, according to their number and coherence, exalt and perfect faith. He who does not know that the human mind is organized, or that it is a spiritual organism terminating in a natural organism, in which and according to which the mind operates ideas or thinks, must suppose that perceptions, thoughts and ideas are only radiations and variations of light flowing into the head, and setting up forms which a man perceives and acknowledges as reasons. This, however, is foolishness; for it is universally known that the head contains the brains, that the brains are organized, that the mind has its seat in them, and that its ideas acquire fixity there, becoming permanent according to their reception and confirmation. The question, therefore, arises, What is the nature of this organization? and the answer is, that it is the arrangement of all things in series, and as it were into groups, and that the truths of faith are so arranged in the human mind. That this is the case may be illustrated by the following considerations. The brain consists of two substances, one of which is glandular, called the cortical and cineritious substance, and the other fibrillous, called the medullary substance. The first, or glandular substance, is arranged in clusters, like grapes on a vine. These clustered formations are its series. The other, called the medullary substance, consists of continual groupings of little fibres proceeding from the glands of the former, and these groupings form its series. All the nerves which proceed from the brain and pass down into the body, for the performance of various functions, are nothing but groups and bundles of fibres, and so are all the muscles, and in general, all the viscera and organs of the body. All these are of such a nature, because they correspond to the series in which the mental organism is arranged.